My dear friend Alice Wintergreen seems to have gotten herself in a pickle again. 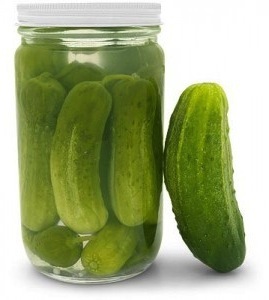 She really does have a knack at that, which is both charming and maddening as her pickles always seem to correspond with needing something from me at a time when I just don’t have much energy left to give (yes, dear readers, I am not perfect). However, once again I came to her rescue, despite the fact it meant that I was unable to listen to a radio programme to which I was looking forward all week. Why must I always be the good friend? I suppose it’s my curse. Now, as you know, I’m not one to sit in judgment of anyone’s choices, and certainly not the choices of a dear friend whose poor taste in lovers has left her bereft of gentlemanly company. More power to her, I say. However, participating in this kind of activity can have its consequences and had led to the pickle in which Alice now finds herself within. What it boils down to is this: she has caught the favour of a certain man about whom she says she would rather kill herself than sleep with. Apparently this man is a nice enough sort, and she doesn’t wish to hurt his feelings in any way. But she definitely does not want to sleep with him (nor does she want to kill herself), and it is over this that she has been crying at my kitchen table for the past few hours. Per usual, my advice was thoughtful, correct and succinct: shut the fucker down. Let’s examine those two options more closely. When I was younger, I briefly went through a stage, as most teenagers do, when I thought “Sod my parents’ millions, I want to make it on my own.” I therefore sought employ with a telemarketing agency (I had a seductive telephone voice even as a youth). The first rule we learned was keep them talking. The longer we could keep a person talking, no matter how politely they were rejecting our sales pitch, the easier it would be to finally reel them in. If Alice were to sit down with this man and try to soften her rejection with a drawn out explanation, I don’t doubt her evening would end with the dreaded walk of shame. Sadly, I say this out of personal experience. Even clever people like my good self can be talked into changing our minds after a while. If only I had heeded my own advice, I could have avoided that Maryland jail time for Unnatural or Perverted Sexual Practices. I guess sometimes we’ve got to learn the very hard way. However, the other possible consequence of “trying to be nice” is making it a thousand times worse for the other person. How many times does anyone need to be told “I would rather eat glass than go to bed with you” before they finally just step in front of the #3808 at Trenton Transit Center? The answer is surprisingly few, I found out to my dismay (rest in peace, Homeless Tim). Sugarcoating a rejection is like sugarcoating cyanide: they’re equally destructive but at least cyanide kills within seconds. Injuries from being hit by a train may lead a person to linger at death’s door for weeks. If we’ve learned nothing from the Jerry Springer Show, we’ve learned that putting one’s hand up to someone’s face and simply saying no is the cleanest way to break off a relationship. Yes, there may be some shouting and a few chairs broken over the audience’s heads, but it is still the quickest and most morally correct way to deal with the situation. Marvelous advice. I can’t wait until the next time a woman wants to go to bed with me with whom I do not want to go to bed so that I … oh, wait, I’m a guy. Never mind.